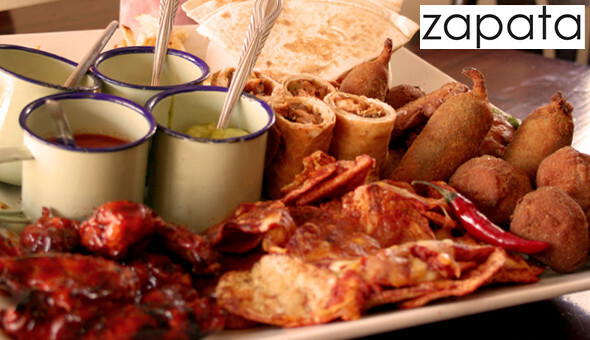 DealZone | 50% discount deal in Cape Town - The Mega Mexican Fiesta with a Margarita Jug for 4 People at only R299! Includes: A Mountain of Nachos, Spicy Chicken Wings, Quesadillas, Mexican Tortilla Rolls, Chilli Poppers & More! The Mega Mexican Fiesta with a Margarita Jug for 4 People at only R299! Includes: A Mountain of Nachos, Spicy Chicken Wings, Quesadillas, Mexican Tortilla Rolls, Chilli Poppers & More!